Is An Old Electrical Service Panel A Danger? The electrical panel is the central fixture of an electrical system. If the panel malfunctions or stops working, you could have a big problem. All power coming from your utility company comes through this panel. 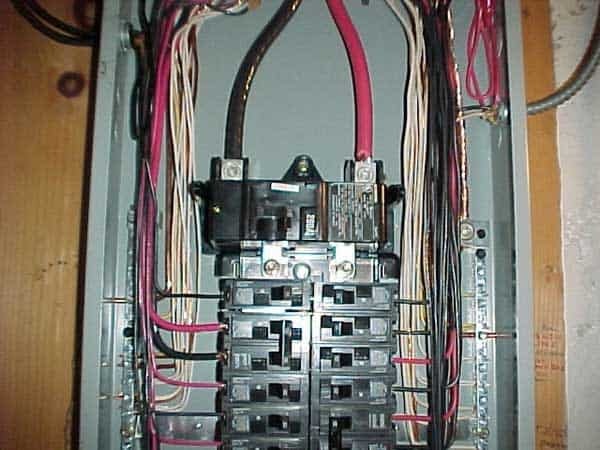 If your home or business has a fuse panel or obsolete circuit breaker or even worse still, a panel that has lost its UL approval, because it doesn’t operate properly, it would be wise to consider a new circuit breaker panel. One of the reasons this happens is that the electrical panel is old and/or may have bad or burnt connection points within it. Poor connections, no matter what the reason is, can lead to more damage and possibly lead to a fire. Another issue with some older panels is that the manufacturers of these panels may have been forced to stop production many years ago by the UL listing authorities, because they do not operate properly. These panels are very dangerous. All circuit breakers are designed to trip quickly, that is. turn the power off within a fraction of a second when there is a potential risk of fire or risk of a person getting electrocuted. In most cases, the breakers inside these old, obsolete panels will take a whole minute or more to turn off the power and, in some instances, will not shut the power off at all. 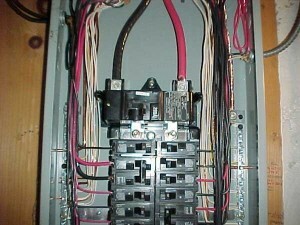 There is a very clear and present danger related to having these panels and breakers in your home or business. Someone could be electrocuted or the panel could cause a fire. Installing a new electrical panel in your home will increase your safety and peace of mind, as well as increase the resale value of your property. Cedar Lake Electric can remove your old panel and install a new top quality panel within one day. This is done with as little disruption to you as possible, and we guarantee to have your power back on before we leave your home or business. When changing out your electrical panel, it is also a good time to determine if the main service (the main electrical power being supplied by your power company) coming into your home is large enough to handle all your electrical needs for today and for the future. 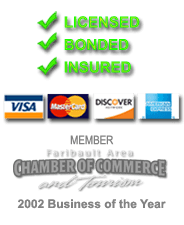 Cedar Lake Electric can calculate what your power usage is today and determine what your needs will be in the future. Changing out an electrical panel and/or your main service is a serious project. It’s a job for an electrician who has the experience, training, manpower, and equipment to do it right the first time. It’s a job for the electrician who will guarantee that the materials used are as specified and are up to code, guarantee that you and your home or business will be treated with the highest respect and guarantee the job is done right and you are totally satisfied. Call Cedar Lake Electric to have your electric service panel inspected today!